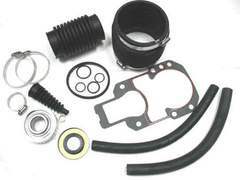 P/N 58990 Complete conversion kit with 4 inch riser. *Note - not compatible with engines with high mounted power steering pumps. P/N 51230 V8 manifold assembly with gaskets. For port and starboard 305/350 V8 center rise. 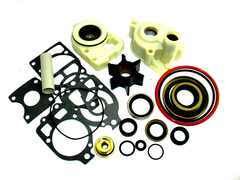 P/N 31100-30240-2 Replacement gasket set. 2 exhaust gaskets and 2 riser gaskets. P/N 12110 Sterndrive water pump impeller kit for MC-1, R models 1970-1983, serial numbers 2763442-6854392. P/N 15201 Engine water circulating water pump for Chevy/GM V6 and V8 small block. 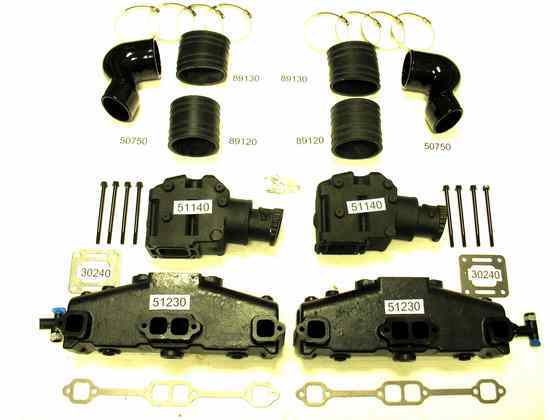 P/N 21950 Complete Mercruiser bellows kit click here. Compatible with 1973 - 1990, serial numbers 3469428 - 0D469858 MC-1/R/MR and Alpha One models.